Prime Slime Time: Myxomycetes and More! The rains are here, and the forest is oozing with slime molds! Join naturalist and slime enthusiast Angela Pai on a hunt for myxomycetes, the plasmodial slime molds. Angela will explain what exactly these gooey organisms are and share some specimens from her collection. We may also find other slimy critters like salamanders and ensatinas. This will be a short hike with a couple of steep sections. Wear good boots and be prepared for wet and slippery conditions. This event will happen rain or shine! 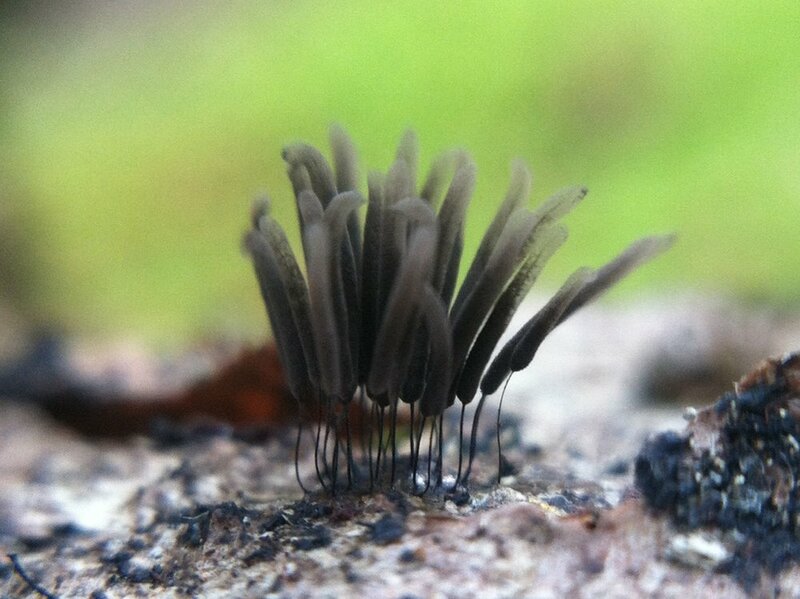 Slime molds are minuscule, so bring your hand lens if you have one. We'll also have hand lenses and clip-on macro lenses you can borrow or buy. Meet at the Sequoia Arena Gate off Skyline Blvd. in Joaquin Miller Park. RSVPs are appreciated! This event is free, with a $20 suggested donation.